The Martians have invaded! How long can you survive on the battlefield? You’ve seen the TV show on HISTORY® now relive for yourself the horrors of The Great Martian War. 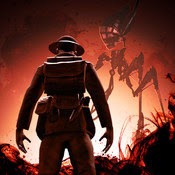 War is hell, especially when the enemy you must face are terrifying Martian warriors. You are Gus Lafonde, fearless scout and soldier and you must survive. The future of the planet, along with every human being, depends on you. 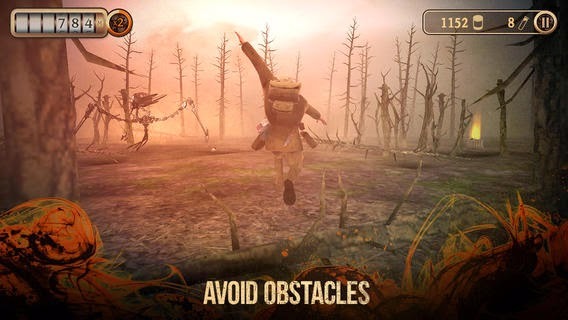 Run through vast battlefields as you evade sneaky land mines, deafening artillery strikes, massive tanks, and towering Martian war machines. 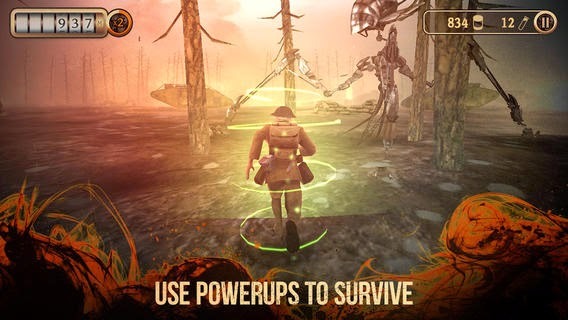 Collect rations and alien metals to unlock awesome new power-ups. Share your high score with friends on Twitter and Facebook and see how you rank against the rest of the world on Game Center leaderboards. 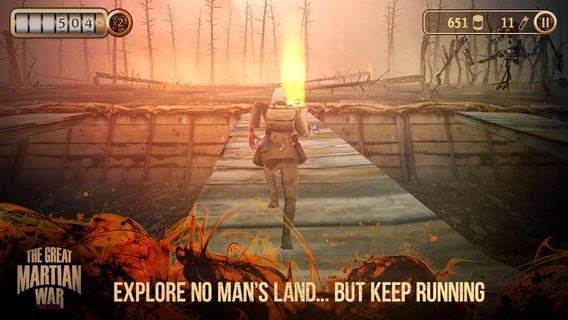 Will you survive long enough to escape the battlefield and beat your friends?